Allow your customer their choice of reading device and they will love you for it. Billers simply cannot continue through 2012 without a billing strategy for mobile devices. Email is the common ‘app’ across smartphones, tablets and computers, and arguably the easiest way to reach your customer. Mobile, non-email users can be reached through an MMS mini-statement or SMS payment reminders. There is no need for a ‘one size fits all’ approach. Enabling your customer to choose their format means a better overall experience; resulting in brand loyalty and faster payment! For a quick read on mobile email, a flat PDF is the better option. If the customer wants to engage with your bill, viewing graphs, sorting data or submitting forms, then offer a format that leverages larger screens and encourages interaction (Striata’s .emc format or smart PDF is best). Continue your focus on customer convenience by providing an easy-to-use, secure payment process directly from the invoice. Consumers are growing increasingly confident in using electronic payment channels. Enabling payment directly from the invoice; whether it’s received by email on PC or mobile device, or even as a printed envelope; is a winning formula for both the biller and customer. Payment reminders is a low-risk, high reward innovation that will significantly enhance your customer experience. Activated by the customer from within an electronic invoice, the automated electronic payment reminder helps customers pay on time, avoiding the consequences of a missed or late payment. As consumers store more of their daily interactions electronically (bills, policies, contracts, payment confirmations, payslips), the next paper dinosaur to be replaced is the retail receipt. Taking the lead are retailers like Apple, Sears, Kmart, Gap and Banana Republic who provide the option of receiving your retail receipt by email. No more shoeboxes full of random paper slips! This is the year to reconsider your transactional email strategy. 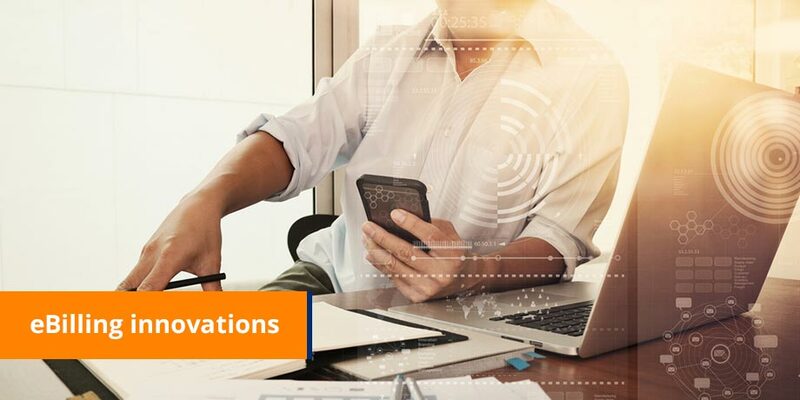 Transactional messages – the real workhorses of customer communication, are generated automatically when someone interacts with your organization. Whether a confirmation or failure notification, a payment receipt or booking form; these messages form a vital (but often neglected) part of your customer’s brand experience. Don’t think that converting customers to eBills means the end of your statement ‘stuffers’. The electronic bill is also prime real estate for marketing and promotional offers, but with additional benefits. Unlike promotions on a brochure or website, email content can be customized to include relevant, targeted and personalized marketing offers. Does your customer know how to recognize a valid email from your organization? When communicating electronically with customers, you need to establish standards that promote responsible behavior. Once you’ve implemented anti-phishing techniques, the next challenge is to educate your customer on what to expect from your organization.